What is considered the worst storm in history? There are many weather challenges but blizzards especially can be extremely dangerous if caught in one. In the last several years, there have been numerous blizzards that have been considered, in many ways, to be the “worst” in history with record temperatures and record snowfall amounts. Even with our historical record-breaking winters, there are many such blizzards from the past that have been considered the “worst” in history. 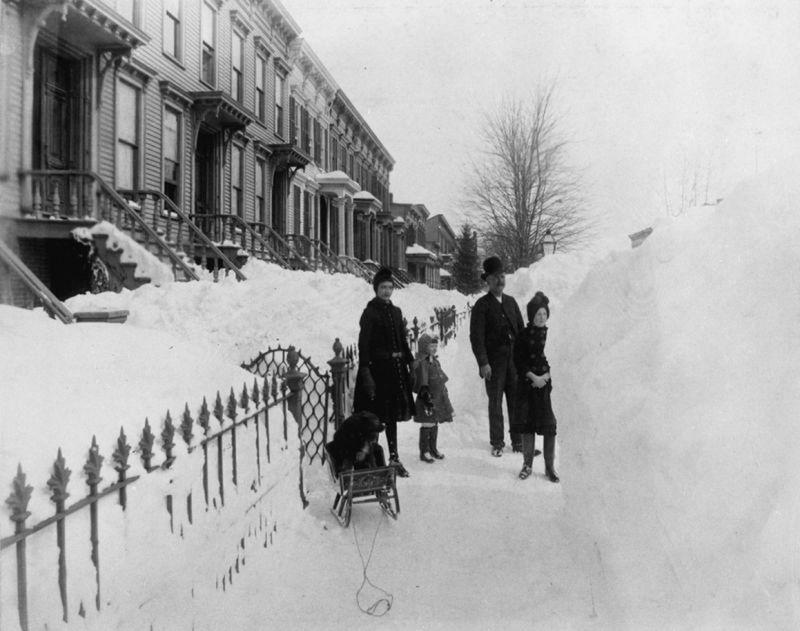 Cherry Street in over five feet of snow, 1880. 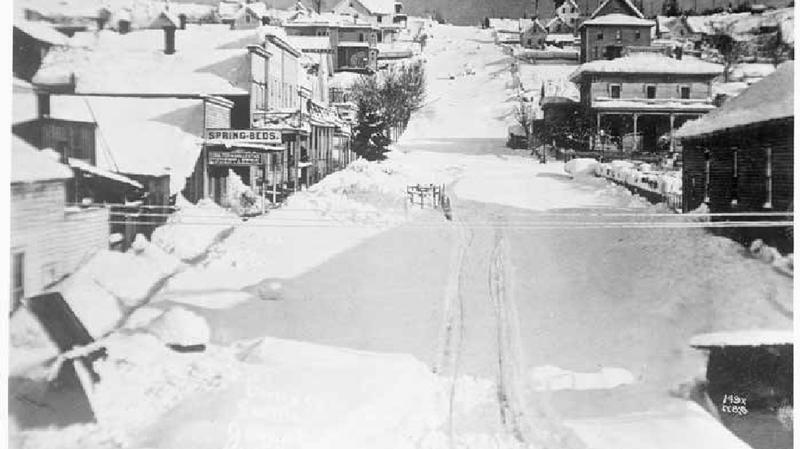 Over five feet of snow fell on Seattle in early January 1880. The city wasn't used to such heavy snow. Schools closed, trains didn't run, and the city's activities ground to a halt. This photo was taken on January 10th, 1880 after the great snow. It shows the view up Cherry Street from First Avenue towards First Hill. The timeframe of the 1880s brought about an unusually high number of blizzards and long hard winters. 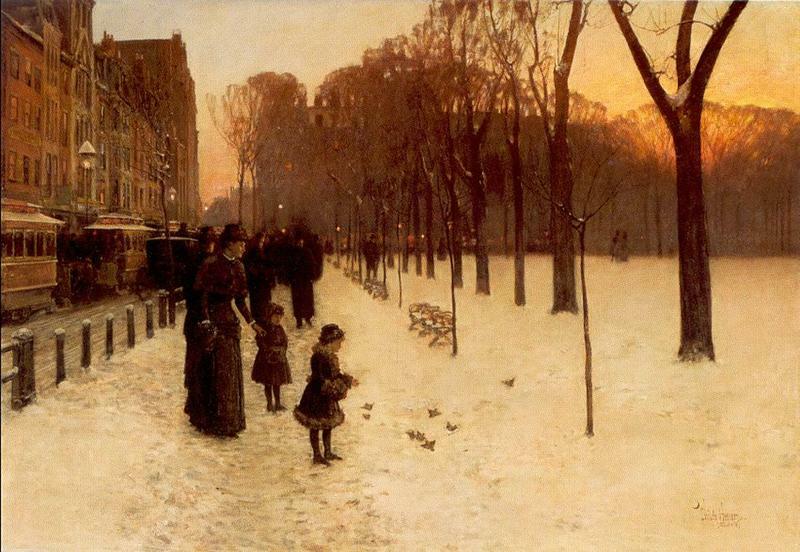 All across the Great Plains and the Eastern half of the United States, the “worst” blizzards in history took place, particularly between the three years between 1885 and 1888 including the Schoolhouse Blizzard and the Great New York City Blizzard of 1888. A possible cause for this dramatic weather was the huge explosion that took place in the South Pacific of the volcano Krakatoa. It happened in August of 1883 which caused clouds of ash to circulate around the world and a large amount of sulfur dioxide gas was shot up into the stratosphere. This, in turn, caused the planet to cool down for a few years until the atmospheric sulfur could completely fall to the ground. During 1884-1885, the winter called “The Big Drift,” hundreds of thousands of cattle died as they migrated across the Texas plains. The latter part of 1885 brought heavy snow to the Kansas plains with drifts piled up as high as ten feet. These drastic winter weather patterns continued into 1886 where it began to snow in November and continued to snow for an entire month. That winter brought about 100 deaths in Kansas. In 1887, there were 72-hour blizzards across the Great Plains with more than 16 inches of snow and temperatures dropping to 50 below 0. 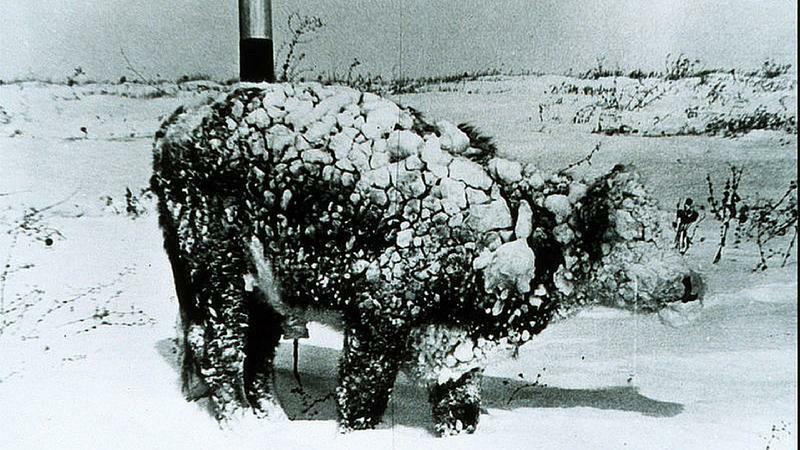 By the time Spring had arrived, 90 percent of the cattle were dead. The longest winter took place in 1887-88 with the “Schoolhouse Blizzard.” This blizzard happened un-expectantly on a rather warm day so many were caught off guard which included the children in a one-room school. The blizzard caused the temperature to drop from above freezing to way below freezing in just a few hours. Suddenly causing whiteout conditions over most of the region, many were caught in the blizzard. The Great Blizzard of 1888 was devastating as it killed more than 400 people making it one of the worst blizzards seen in America. 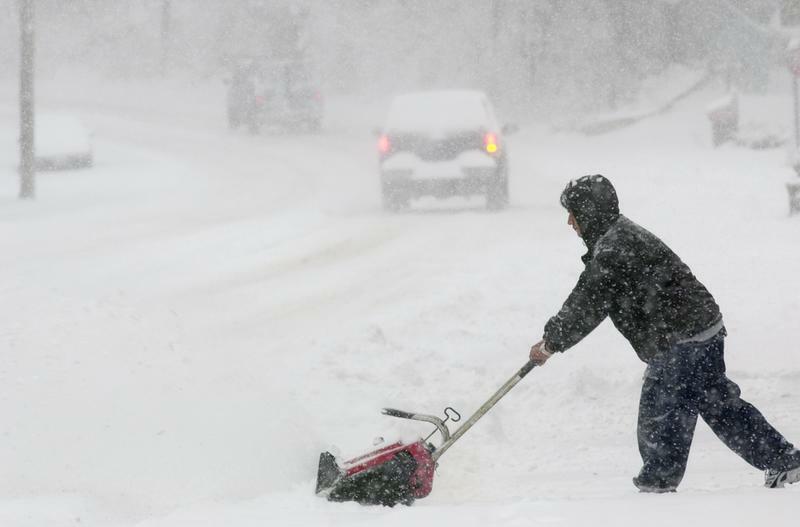 It covered New Jersey, New York, and part of Connecticut and Massachusetts with 20-40 inches of snow and in some areas, as much as 55 inches of snow. On March 10, the temperature was in the mid-50s but the next day, March 11 was quite different. Down from Canada came cold Arctic air that collided with warm Gulf air that caused the temperatures to plummet rather quickly. By midnight, in New York City, the wind gusts were up to 85 miles per hour and heavy snow was everywhere by the next morning. When many of the residents went out to go to work, they were blocked in by a wall of snow with drifts as high as the second floor of some buildings. There were up to 15,000 people stranded on elevated trains. Telegraph lines, water mains, and gas lines were in desperate need of repair but the repair crews could not get to them. Even Mark Twain, who happened to be in town that day, was stranded at his hotel for several days. Just in New York City, around 200 people were killed. 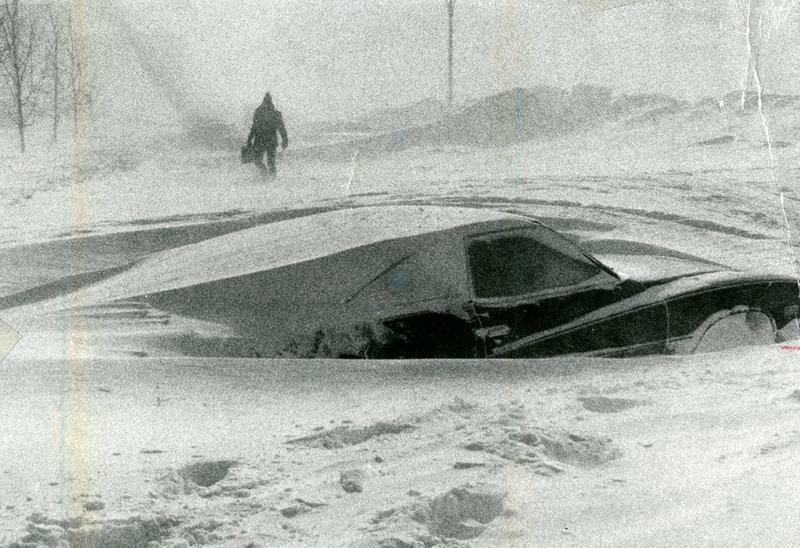 The blizzard that happened in 1977 in New York covered the western portion of New York as well as Southern Ontario. With wind gusts up to 69 mph as recorded by the National Weather Service in Buffalo, snowfall was as high as 100 inches in some areas and snow drifts blown in by the wind was up to 40 ft. The blizzard was made worse than usual because of the conditions in the months prior with temperatures being much colder than normal. Because of the unusual colder conditions, there wasn’t the usual thawing and refreezing that normally takes place in January so the snow that covered Lake Erie remained powdery. The roadways were impassable because it was too difficult to clear them with the strong wind packing the snow in solid form. There were 28 deaths in Western and Northern New York. After a four year drought in Iran, relief finally came in 1972 but not the way one would expect. Instead of rain, it came down as a blizzard and not just a blizzard but a destructive blizzard. In fact, it was the worst blizzard ever recorded in world history. The blizzard did not just last a day or two but it lasted seven days and caught many off guard. With 10 to 26 feet of snow, it was quite a surprise, particularly to those in the southern portion of Iran. As most of the area is subtropical and desert country, for the temperature to drop below freezing was rare. Those who lived in the Zagros Mountains were used to heavy snowfall but certainly not those in the south where they normally had hot summers and mild winters. Thousands of people were buried in the “comfort” of their own homes as they literally froze to death. There was a minimum of 4,000 who died in that blizzard.